Every October, thousands of willing Americans flock to haunted houses, eager to get frightened out of their wits. We love being scared silly and will pay good money to experience that crazy adrenaline surge. TheHorrorDome.com has a healthy relationship with fear, and we know the architecture of terror. We are renowned for our huge range of Haunted House decorations that are real enough to be unnerving in broad daylight. We love the heart-pounding thrills of a good fright, and if you do too, these creepy, REAL LIFE haunted mansions are sure to deliver! The sites of brutal slayings and multiple ghost sightings, here are our top recommendations for true-blue haunted properties. We begin our ghostly tour in Brush Park, Michigan at the crumbling remains of the Haught Mansion. As urban legend goes, the now dilapidated manse was once a thriving upscale brothel, frequented by gentlemen of means up through 1941. Just a few years later, several dead bodies were discovered in the basement – their chests marked with mysterious circles. Located in San Diego, California, The Whaley House was classified as “haunted” by the US Commerce Department in the mid-1960s. The story goes that Anna and Thomas Whaley built their home in the very spot where a young man was hanged for grand larceny in 1852. The new home owners claimed that the hanged man, known as “Yankee Jim” Robinson, made several appearances from beyond the grave. After the couple died, specters of Mr. and Mrs. Whaley and their child have since been reported. An unassuming brownstone in Greenwich Village, NYC is reported to be haunted by the ghosts of two dozen people who were murdered or died within its walls. The townhouse, located on West 10th Street, has a reputation for ghastly apparitions, including the ghost of a young girl who was beaten to death by her adopted father. Mark Twain once stayed in the so-called “House of Death,” and its spooky history is documented in the novel “Spindrift Spray from a Psychic Sea,” by Jan Bryant Bartell. 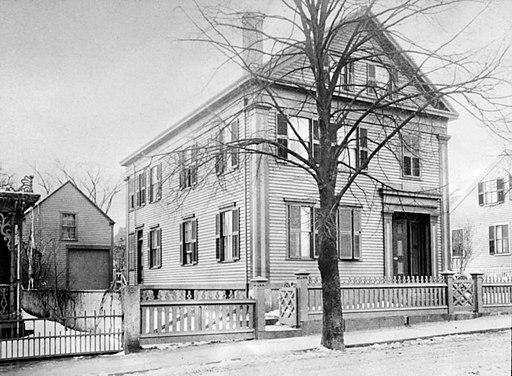 Without a doubt, New England’s claim to haunted fame is the Lizzie Borden house in Fall River, Massachusetts. According to locals, Lizzie Borden is still laughing at the fact that she got away with murder. In 1892, Lizzie’s father and step-mother were slain by an axe-wielding psycho and Lizzie remained the primary suspect, though she was never charged with the crime. To this day, people say they can hear her eerie cackling at the top of the steps, where she gave her step-mom 40 deadly whacks. 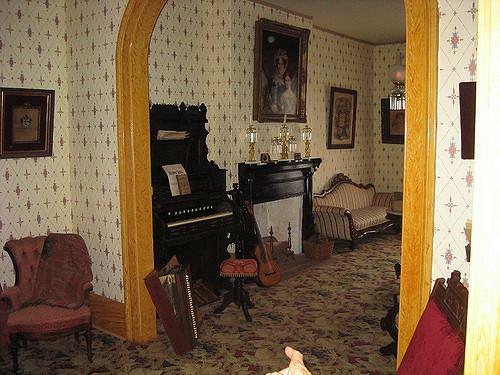 The house is now a popular Bed & Breakfast/Museum, where the brave can spend the evening listening for the screams. From flaming cauldrons and tombstone props to animatronic corpses, the HorrorDome.com has haunted decorations that elicit screams of terror! You won’t find a larger inventory of high quality Halloween props and décor anywhere. 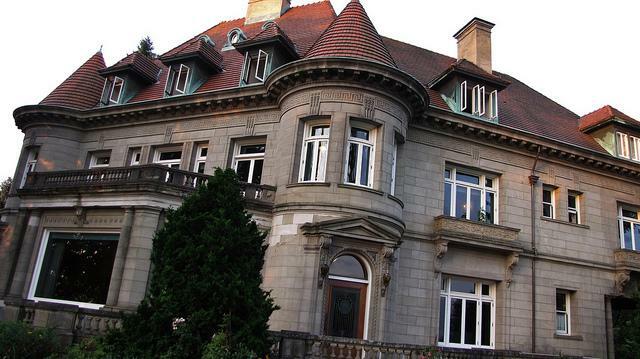 We have House of Dead facades and giant skull entryways that will make your haunted mansion the envy of everyone on the block. Our realistic decorations are ideal for Halloween parties, themed attractions and, of course, turning your home into a labyrinth of horrors. Check out our new range of ultra-creepy, super scary products, props and Halloween displays today!